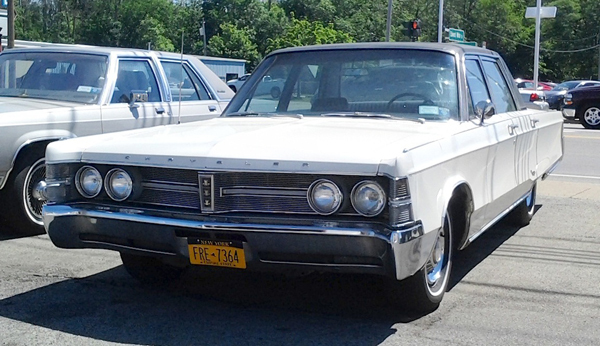 Before most Americans had ever heard of OPEC, this 1967 Chrysler New Yorker was a pretty normal-sized sedan. Standard equipment included a 440 cu. in. V-8 with a four-barrel carb., and a three-speed Torqueflite automatic. Fuel efficient? Hardly. Scrumptiously comfortable to ride in? Of Course! Saw this one in the Town of Tonawanda a week or so ago. Jim Corbran, RRofWNY Check out our new Facebook page: LuvTheCheapies The post RealRides of WNY appeared first on Buffalo Cars.